My baby turned one a couple weeks ago. 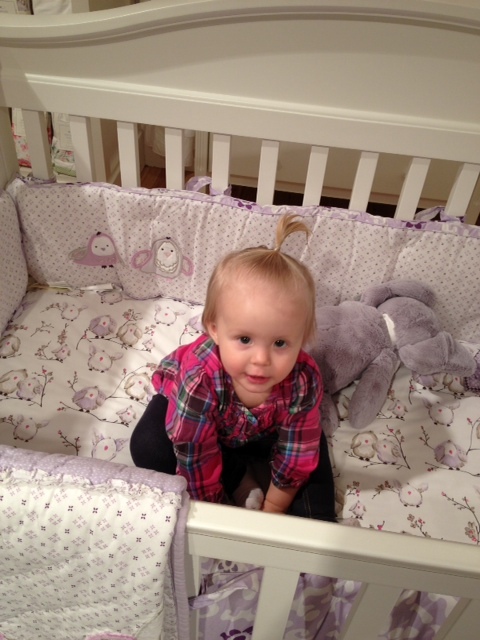 I can’t believe she is already out of the infant stage and into the toddler stage! I wish I could preserve all the memories of her adorable tiny-ness forever because sometimes it makes my heart sad that she is never going to be a baby again. 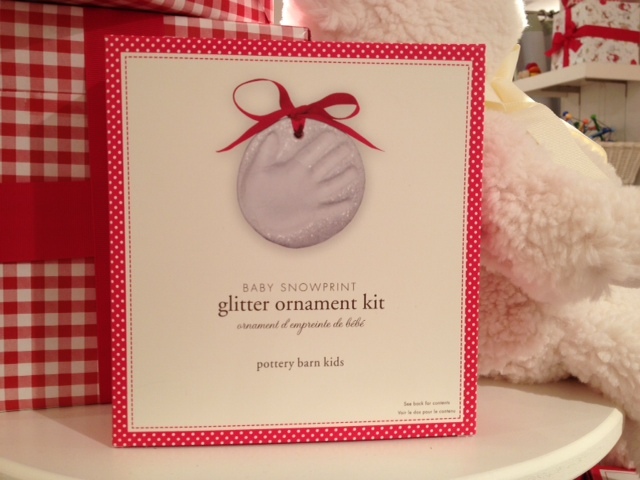 That’s why I was excited to try out this adorable Baby Hand Print Ornaments kit from Pottery Barn Kids! 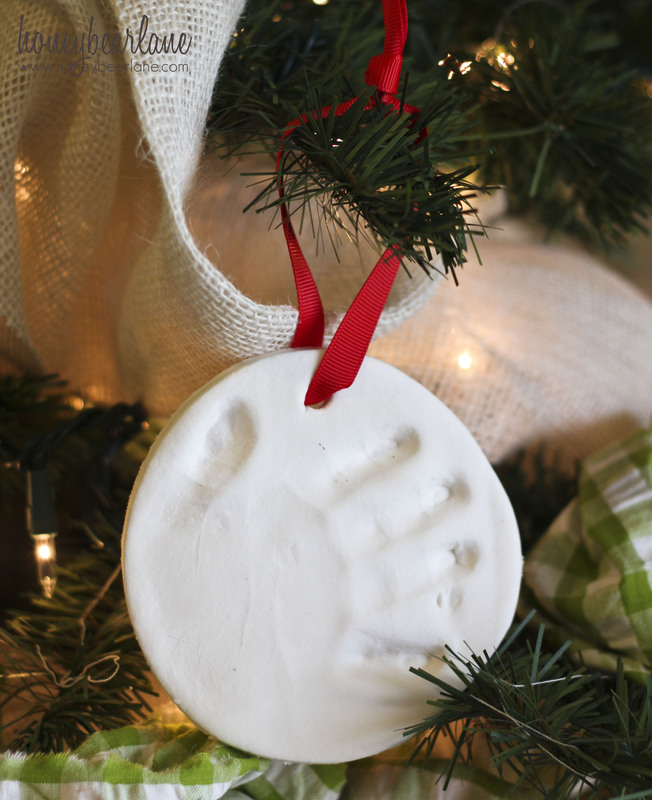 You could probably make your own handprint ornaments by making the dough yourself and baking it but I have to tell you, this product is REALLY easy to do and took me like five minutes total. First off, you go to Pottery Barn Kids to buy it. It’s actually on sale right now so only costs $12! Then you try not to get too distracted by all the adorable cuteness that is in their store. I mean seriously, look. Ellie made herself right at home. 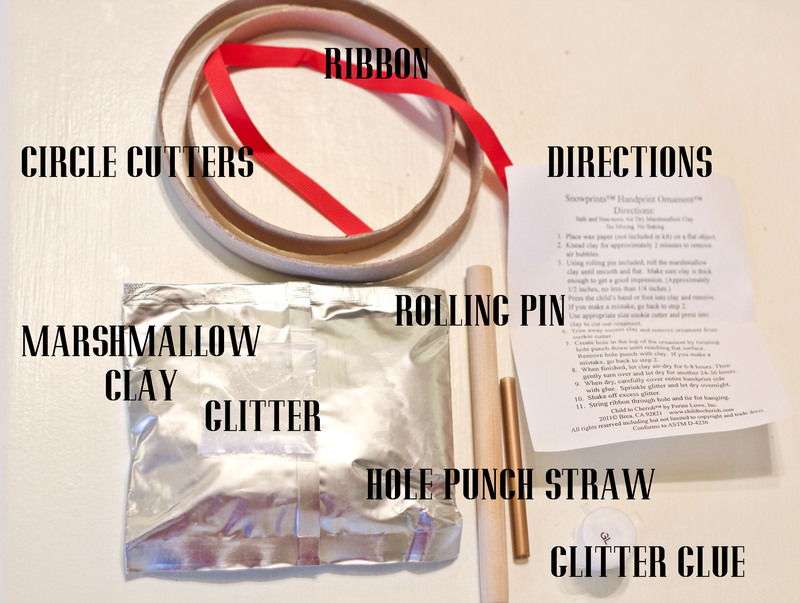 After you get home, you open up the box and you should have the following: two circle cutters, 1 foil package of the marshmallow clay, 1 pack of glitter if you got the glitter version, 1 straw for hole punching, and a rolling pin. Now you open up the clay and knead it for a couple minute to squish out the air bubbles. Then you roll it flat. Then have your kid or baby put in their handprint. You kind of have to push their fingers in their to leave a good enough indent–it took us a couple tries. I think doing a footprint for an older baby like mine would be better because they just want to grab the whole thing with their hands! But don’t worry the clay is completely safe and non toxic. After you do the print, use the straw to punch a hole. Then use the cutter of your choice to cut it into a circle shape. Then just let it air dry for the next 24 hours! After that you can add the glitter if you want. Couldn’t be easier. And now you have preserved your little baby’s handprint or footprint forever. Also I think there is enough for two if you have more than one kid or want to do both hand and foot prints. 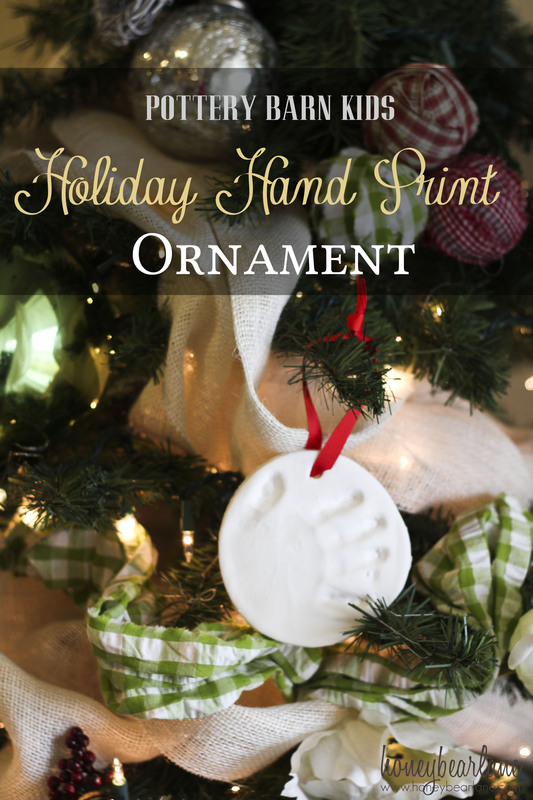 I love the idea of having this type of ornament in the box of Christmas decorations and having the kids pull it out each year to see how their hands have gotten bigger. It’s such a simple idea but so precious and special. This also makes a FABULOUS gift idea for your friend or relative who just had a baby. I was really tempted to give it away but also really wanted to try it myself! I would have gotten two but this was the last one! They are selling out quick so if you want one, better hurry!